TODAY, we’re winding the clock back almost 30 years, thanks to some old pictures we recently unearthed in our library. 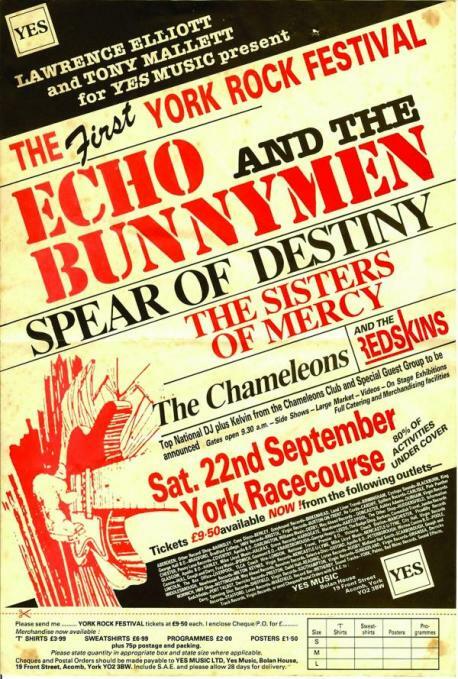 The date is 22 September 1984, the venue is Knavesmire and the event is the York Rock Festival. That year, Echo and the Bunnymen had been scoring some chart hits with singles from their album Ocean Rain so, finally, we signed them up. Getting Spear of Destiny, The Sisters of Mercy and The Chameleons was a massive bonus. At six thirty on the Saturday morning I received a call from one of the ovenight security guards pointing out that it was raining heavily and the quickly modified stage roof had a leak. I got onsite about an hour later with my then girlfriend’s pink hairdryer and spent 45 minutes blow drying Spear of Destiny’s drum kit. Fortunately, they never knew. “Later that day, after The Sisters had been on stage, their lead singer Andrew Eldritch requested an extra bottle of Jack Daniels as part of their rider clause. I took him down from their changing room at the top of the racecourse grandstand to get him to sign for the extra bottle, then we took the lift back up. “Unfortunately, the elevator promptly got stuck between floors. Thank the lord, I had a walkie-talkie and managed to get us rescued after about twenty minutes. Myself, Andrew and a bottle of JD had entered that lift and I’m slightly ashamed to say that only two of the three came out intact. And it wasn’t the Tennessee whiskey. “A couple of hours later, as the Bunnymen were coming to the end of their headline set, I was standing alongside Don Hoad, who was City of York’s environment chief. 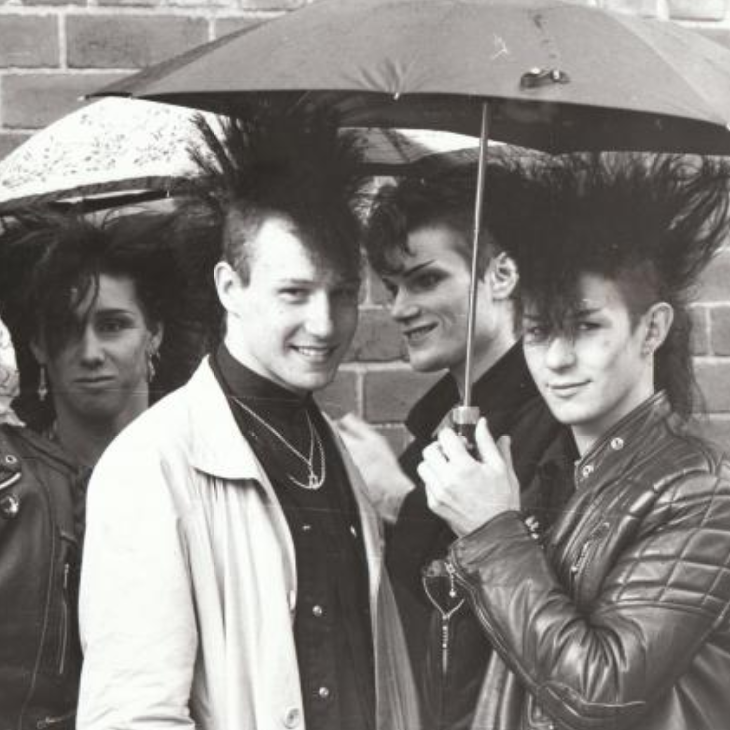 via Flashback: Pictures and memories from the 1984 York Rock Festival on Knavesmire From York Press.